Whoa! File of the Month contender! You guys honor me, so glad you all love it. 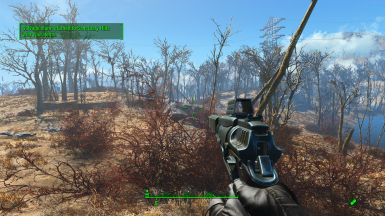 You must have the latest version of the game for this mod to work. It makes use of features that were added in just before NukaWorld was released- so your game should be patch 1.7 or higher. If you are using any of the mods below, read the information next to them as it might explain the issue you are having. Welcome to Goodneighbor - (UPDATE: While the mod author has released a fix for the packaged scripts issue, the forum posts over there show it still has some game-breaking bugs) this mod is packaged with default scripts from an old patch, it breaks this and many other mods. 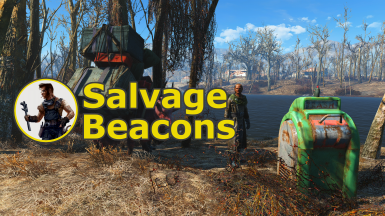 In Salvage Beacons, it prevents the settlement menu from appearing when you place a beacon. Don't Call Me Settler - This mod has some severe issues that can break individual settlers, especially in a long save with lots of settlements and settlers. In Salvage Beacons, if you have trouble assigning a Settler to a Communications Station- this might be why. Try assigning that settler to something else to confirm if that specific settler is broken or not. Also, the Call Unassigned Workers tool does not recognize all non-vanilla work objects, such as the Communications Station. 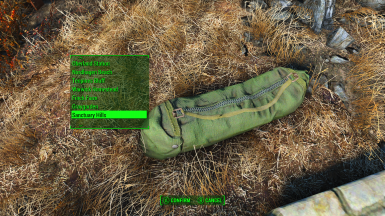 Simple Steve - this mod is packaged with default scripts from an old patch, it breaks this and many other mods. 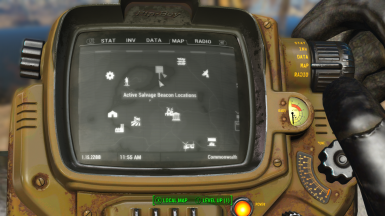 In Salvage Beacons, it prevents the settlement menu from appearing when you place a beacon. Unlimited Building - This mod is on Bethesda.net and also contains the bad script. There are several alternative mods to increase your build limit, I'd recommend trying any of the others! For those of you requesting a perk-free version, your wish has been sort of granted. In the latest version, the Comm Station no longer has a perk requirement. You'll still have to console cheat yourself in the beacons themselves, I want to keep the Local Leader requirement as its more immersive- but this way you can still use them. To find the Form ID of the beacon (look for the one of type MISC, should end in F9A). Replacing the first 8 Xs with the Form ID and the last X (after the space) with the quantity you want. I'm moving all of my mod communication to simsettlements.com. Version 1.0.3 fixes a bug that was introduced in 1.0.2 that could make beacons fail to deliver if you didn't have Sim Settlements installed as well. Apologies for taking so long to get this fix - I couldn't replicate the issue for the life of me until some Xbox players found a pattern I could repeat! I don't know what happened but the salvage beacon item disappeared and it's no longer craftable in the chemistry bench. I can still add the item via console commands though. Please help. I believe they are located in the Armorsmith workbench, that is where mine are located. May I suggest something? I love to donate my unwanted scrap, armor, weapons, ammo, aid, etc to the settlements however like how you pointed out in the description I HATE traveling there encumbered. Does this have a perticular feature to be donation related? I'm hesitant of downloading it because of me using your other mods. The salvage team npcs are essential and can't be killed. What's the difference between "This is for me" & "This is for them"? 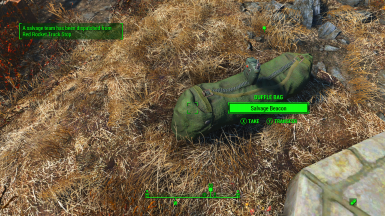 If you're running Sim Settlements, the items you send with the salvage beacon can be used as a donation for a city plan. If you choose "This is for me. ", the items will go into the workbench as usual, if you choose "This is for them." it will go into the donation system for the city plan. Anyone able to use this mod together with Postal Delivery Service? I'd love to see a version that used Institute teleport tech, to teleport items to the nearest receiving station. I use Aloot's Home Plate and have had the salvage come and "visit" quite often. They don't stay for more than an hour or two of in-game time. I solved the Brahmin problem by using the Replace Pack Brahmins with Eyebots mod (https://www.nexusmods.com/fallout4/mods/14395). 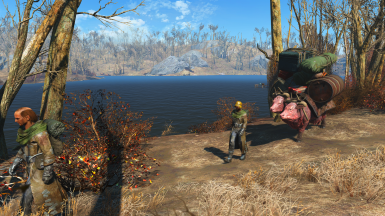 Having Eyebots in Home Plate is a helluva lot better than having brahmin. Thanks for making this mod. I'm having trouble using it, but I'm still thankful for it. I'm glad for the ability to not have this mod demand that I have the Local Leader perk, but I'm still having trouble getting the beacons by using the console. The problem is that I'm in VR and using the console in VR is very difficult. In VR, the console is accessed by going out to my desktop screen which has a mirror of the VR game. The mirror is very tiny and I can't read the text there. Is there some other way to get the form ID? Perhaps using FO4Edit? Regarding immersion, I have a prospering settlement, the people always tell me they love me when I walk by, and the loot I would want them to bring back is largely FOR THEM. I ventured out, risked all and won. Now I'm giving them most of what I found. Why don't they want to do this? Help! When I place my Beacons in containers it no longer props for destiny location or even turns the container into a cache. Can't think of a thing that has changed since the last time I used it and it worked, to now. Checked my Comms Station, it's still man'd, settlement still stands, even reinstalled the mod. Please, I can't go back to hauling everything by foot! 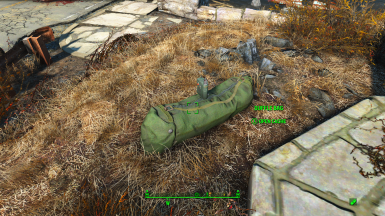 I'm in a survival run with a low Str Character, power armor or no, the back and forth is murder.